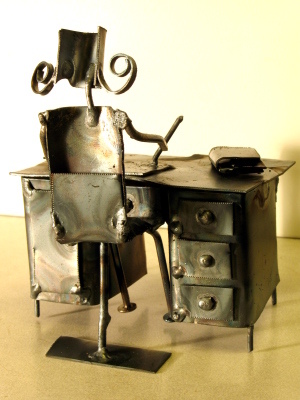 This request was for a girl at a finely-detailed desk. The sepia-tone was actually unintentional - I used a shop light to provide some extra lighting, but didn't remember to set the tungsten filter on the camera. This ended up washing the photo in yellow light. Personally, I think it works well for this figurine set. I really like this one, Josh. There is something about the way that you crafted the pen in the girls hand that allows me to think that the girls is drawing a picture of a dream she had.